Spring is here with the calls of red-winged blackbirds, melting snow, muddy roads and buckets hung on maple trees, tapped to collect sap. New Englanders wait a long time for spring to arrive. Michael Kelly, a blogging friend from L.A., recently commented, “I like the Northeast very much, but I’m astonished that people can maintain such patience and appreciation in living where winter has been so long & harsh.” I had to laugh because I myself often wonder about the state of my sanity living in this climate! Yes, we are a bit crazy, but we are rewarded come summer when most of the U.S. is sweltering, we live comfortably with temperatures in the upper 70s and 80s (F). We have only a few hot days in the 90s, but most days are tolerable and not too humid. I drove past a local sugarhouse and saw steam billowing out of the roof vent, pleased to note another official sign that spring is truly here. 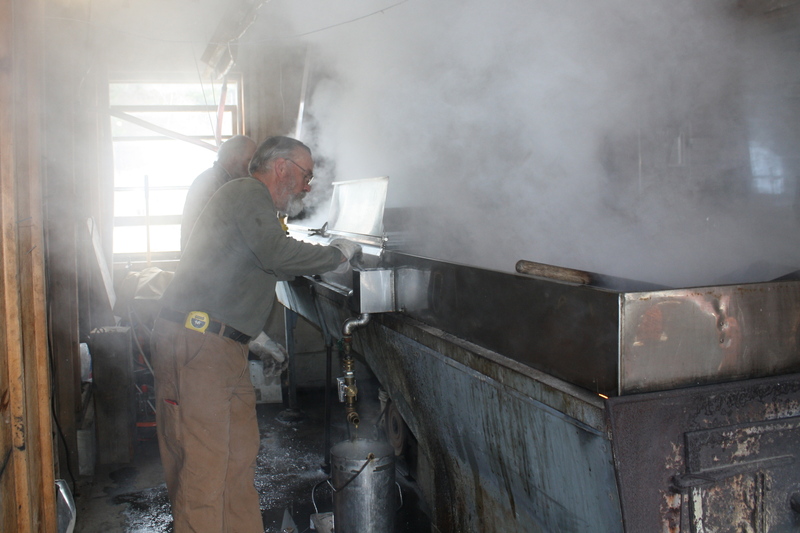 Boyden Bros. Sugarhouse boiling maple sap. I stopped in to buy some melt-in-your-mouth maple sugar candy and thought I would check out the process of boiling sap while I was at it. 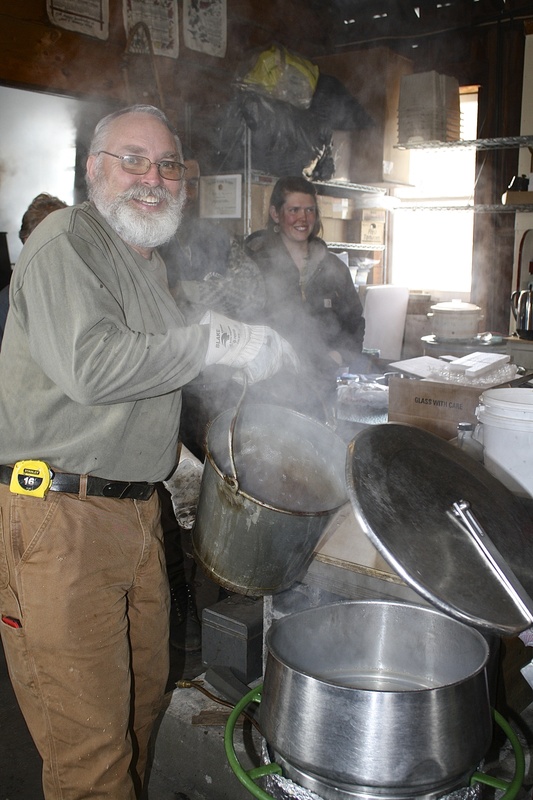 Howard and Jeanne Boyden, along with their two sons and an army of helpers, have been collecting and boiling sap to make maple products for most of their lives, as have several generations of Boydens before them. (Howard’s ancestors were among the founding fathers of this town back in 1767.) They are some of the nicest folks you could ever hope to meet. The process of turning maple sap, which comes out of the sugar maple tree (Acer saccharum) at 98% water and 2% sugar, into maple syrup which is 33% water and 67% sugar, is a lengthy one. It requires a lot of work and sometimes very long days. The season in which sap flows at its tastiest is a short one, occurring at the end of the winter when the weather turns to spring. 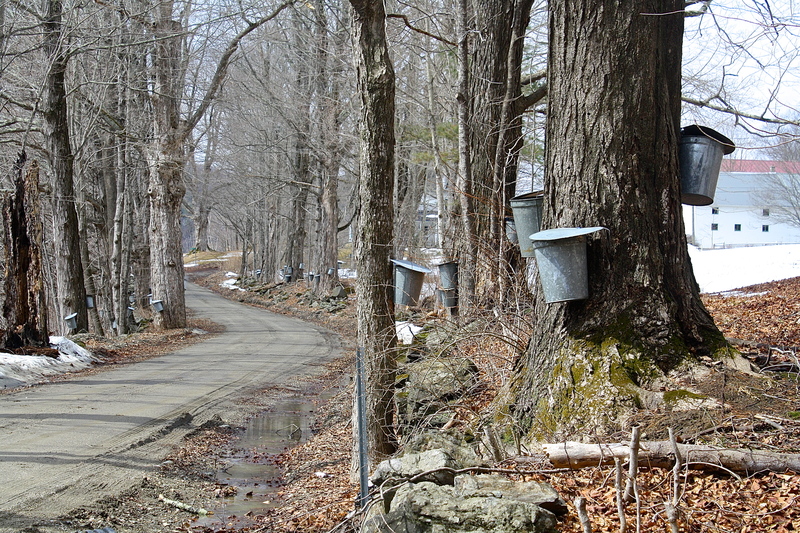 Maple buckets line a road during Mud Season. Sap is running! Drip, drip, drip! Trees are tapped with special spigots that drip sap into buckets or through a series of tubing that empty into holding tanks. Here’s where the army of helpers come in, driving pickup trucks with larger tanks strapped on, they empty the buckets and siphon out the holding tanks, then transport the sap to the sugarhouse. On days the sap is really running, they may make several trips a day. Using a specially designed evaporator, the sap is boiled through a series of channels until it reaches 219.5 degrees, the right consistency for maple syrup. 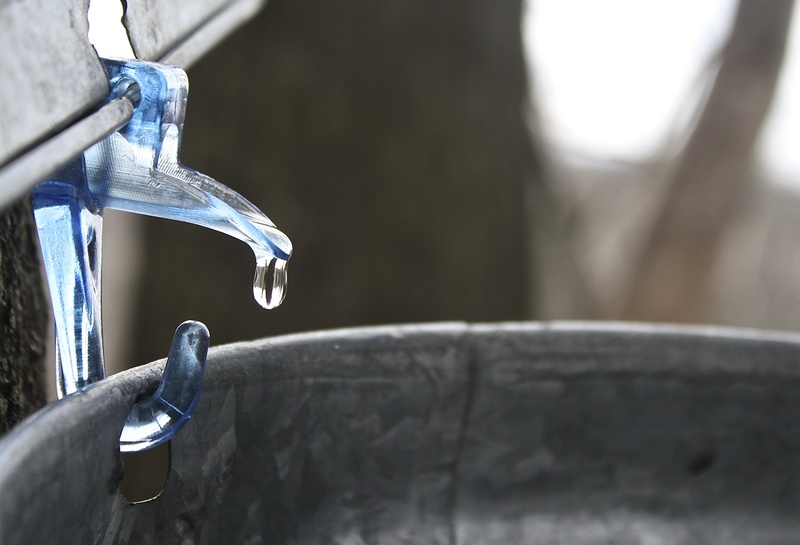 It takes roughly forty gallons of sap to make one gallon of syrup. Howard tending the evaporator – the humid air smells sweet! Batch adding wood to the blazing fire beneath the evaporator. The syrup is then put through a filter and bottled. 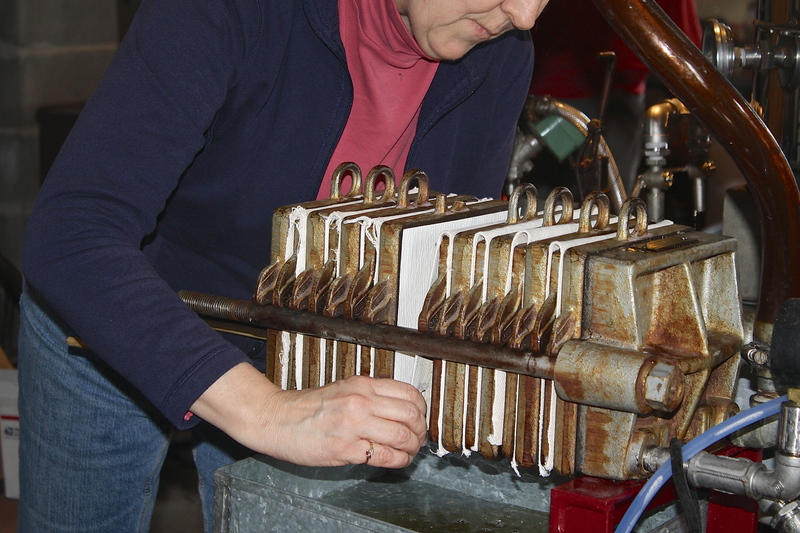 Freshly made syrup goes into the filter press. Jeanne changes the filters periodically throughout the day. Jeanne adjusting newly changed filters. The syrup is graded by its translucence. There are two grades, A and B. Grade A, which is divided into three categories – Light, Medium and Dark Amber – is considered the finest, what we put on pancakes, for instance. While B, darker with a heavy maple flavor, is used for cooking and baking. The first run of the season is very light and each run generally becomes darker. Each daily run is graded. Weather, particularly temperature, affects the run and length of the season. If the temperature does not rise above freezing, the sap doesn’t flow. So the gaps in dates you see above may indicate cold periods. Best flow is achieved when the temperature rises into the 40s (F) during the day and below freezing at night. The Boydens also make maple cream, which is made by further boiling and whipping the syrup (OMG, if you’ve never tried maple cream, you are seriously missing out on one of the world’s most amazing treats!) as well as candies shaped like maple leaves and hearts. At Christmastime, they offer ones shaped like little conifers and stars. Their prices are very reasonable, given all the work that is involved, and they accept mail orders. They may be reached at boydenmaple@gmail.com. and are a CISA member. 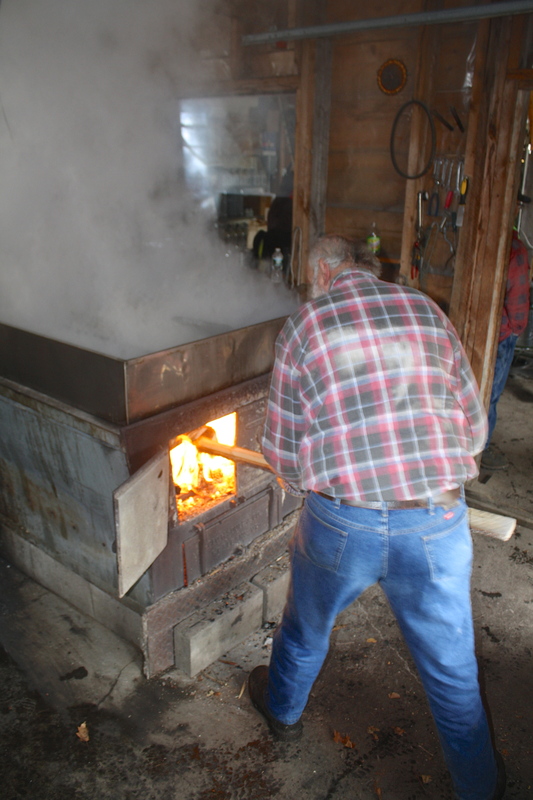 For more information about maple sugaring in Massachusetts, visit the Massachusetts Maple Producers Association. For a brief history of maple sugaring, originally introduced by the Native Americans to European settlers, read here. 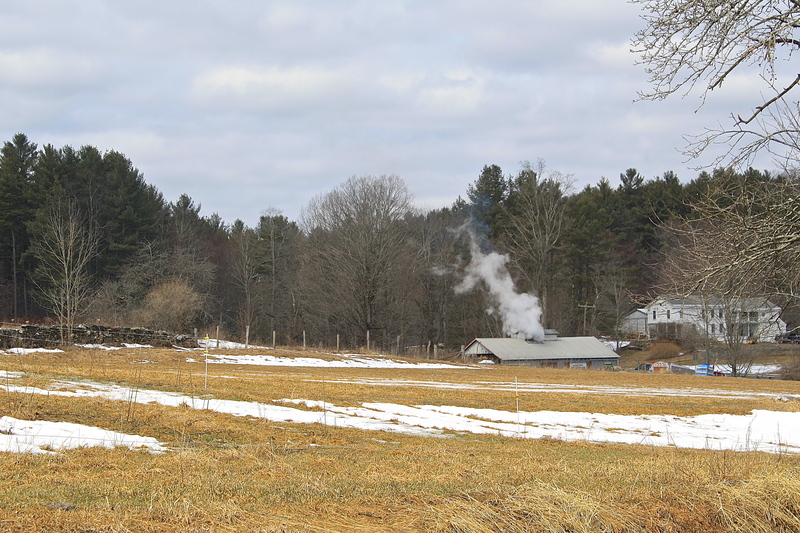 This entry was posted in Country Living, My Photos and tagged Acer saccharum, farming, maple, maple candy, maple cream, maple sugaring, maple syrup, Massachusetts, New England, sustainable farming. Bookmark the permalink. This sounds silly, but your pictures of the trees and the hills and the people making a food from a gift of nature — well, it is just astonishing to me. Real landscape, real people, real nature, real labor, real food. I’m in awe. What memories that brings back. I remember Mr. Robinson driving a horse-drawn wagon to collect sap from our trees. We loved riding along and following him back to the sugar house. 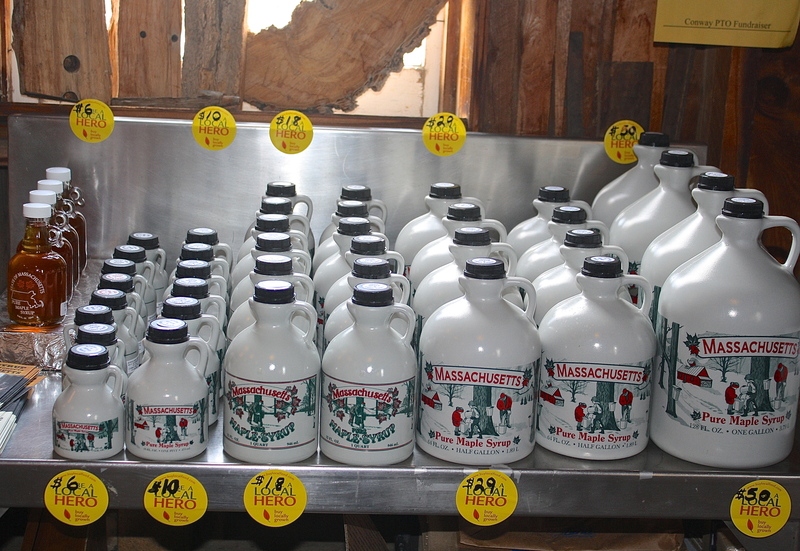 I have been away from New England for many years but have stayed faithful to our great maple syrup. And you are right. Maple cream is the best!! Thanks for sharing this great piece today!! What a great post! Thank you for taking us through all the steps. Wonderful post. I never knew how maple syrup is made. I learned a lot reading your blog today! Thanks, Sylvia, glad you enjoyed it. Thank you for your comment! I agree with the comments above, great photo blog story! I LOVE maple syrup:-) I just had some on my blueberry pancakes yesterday morning. I love all the picture:-), but what really caught my eye in your pictures was the “joy” you captured in your pictures of the folks! As you told your story you caught the mood + that is hard to do, but you did it! Thank you for taking the time to take all of us on a tour…+ you are so right about our long winters, but our summers are not as nice as yours we suffer the “humid” weather + drought too often….your summer climate sounds perfect! Robbie, thanks for your warm and thoughtful comments. Blessings! I love the idea of these people making something so wonderful out of these fantastic trees. Talk about eating local! It’s very interesting, the process, and still quite old fashioned. This is quintessential New England as I imagine it. Thank you, Sharon. The sugar maple is probably my favorite tree. Aside from the bounty of its sap, in spring the leaves unfold chartreuse green, deepening to dark green in summer; wonderful shade tree and the sound of the wind rustling its leaves is divine, then of course, the famous blaze of autumn. I’m even in love with its winter, bare bones silhouette. Well, now I am all prepped for maple sugar candy and maple cream! Have never had maple cream but it sounds fabulous. Thanks for sharing the spring rites in your part of the world and for the wonderful tour through the process of creating delectable delicasies from nature. What a fascinating tour. And everything done by hand. I understand now why real maple syrup is expensive. Your postings always make me miss the NE. It’s my favorite place to live. thanks for taking the time to add all the photos in the posting. It really makes you appreciate the work that went into this process. Where did you live in the NE? Did you go to school here? Lots of folks come to study, then settle here. The four distinct seasons are a big attraction and the summers are milder than many places in the U.S. (for which I am grateful!) Blessings! I love this post because I always wondered how maple syrup was actually extracted from the trees, and you have so well clarified this procedure on this post. My heart goes out to all these workers who keep this natural and organic market going, despite hostile weather conditions. Thanks, Maria, it is a great tradition. Native Americans introduced sugaring to the European settlers, who refined the technique over the centuries. You can read a short history here: http://www.maplemuseum.com/indians-and-early-maple-sugaring-process. It indicates that wood fired boilers like the Boydens use are rare these days. Thanks for the link. I had no idea how it was done. I’m afraid many of us here in New England take maple syrup for granted, but it is a very special thing. Thanks for stopping by and commenting. So very interesting and so much work. I’m a native Chicagoan so we don’t see anything like that around here:) We do, however, share long, hard winters and this was certainly one of them. Great photographs. Thank you. Thanks for stopping by with such compliments! I am glad the long, cold winter is over! Delightful to read about the process! Photos were an added plus! I recall, many moons ago, in the Spring of 1979, enjoying maple syrup and scrambled eggs out in the countryside of Quebec, Canada. I was a bit hesitant to eat it at first, but did, and was pleasantly surprised! Your piece brought back a good memory! Thank you! and thank you for your visits to my blog! Thanks so much – yes, the taste of maple is one you’d not likely forget! Thanks for sharing your memory. Blessings! What a fascinating article and so good to see an age-old process continuing. If ever I get to America I will seek this place out! Thanks, Deb, if you came in March (sap flows only 2-3 wks. ), you would be most welcome – the Boydens are awesome folk. It is coming up upon that time again, we so look forward to it because it means Spring!